No one wants to eat bland, boring food. 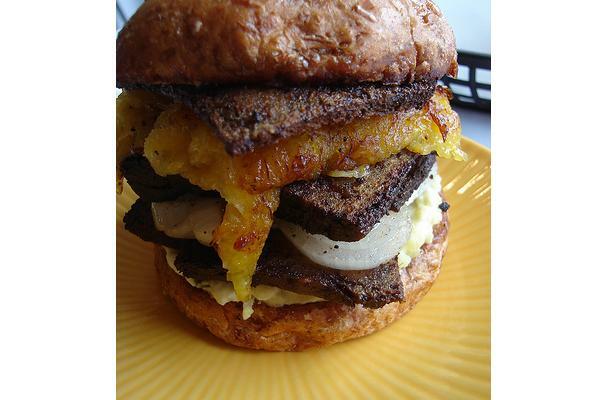 This vegan jerk burger is hot off the grill, and bursting with amazing flavor. It's hard to believe you can get so much enjoyment packed into every bite, and still be safe for the vegan menu. Start with sauteed veggies, and add the rich flavors of garlic, ginger, and allspice. The bulk of the burger is beans, rice and chili pepper. Add the breadcrumbs to give it some sticking power. If you also need to keep it GF, use gluten free bread that you have lightly toasted to give it more flavor. Then pulse into homemade breadcrumbs for this recipe. Season the mixture and form into your patties. These will grill up beautifully, or you can simply cook them in a hot pan. Simple and simply perfect. This is going to be your next family favorite.